on Jan 19, 2009, my score on qq, a Chinese im community, which like most Chinese portals as well as the Chinese cadres association, never missing any chance to bargain with any users with any services they provide, accumulated to reach its level 16 and was granted the privillage to create a my own group, while in icq.com, where my account kept after 10 years' none login, and i can create any groups i want at any moment. for my most acquaints r in China, so i really want to own a qq group so as to let my pals gather in the group im. so i launched at once and failed countless times the night before the day on home pc, which lagging any time when i surfed, under China surveillance. but on the day in office, i got my qq group after 2 or 3 tries. the next step i want to bind it with my alumni on qq.com, which just setup the alumni service, trying to bail in the hot water of social network. it demands at least 6 members to apply for the binding, after i tried a lot, finally i got enough members in my qq group, but just dumbfound the rule of the site means at least 6 members of my qq group have to be also my alumnus's registered members on the site. so the rule again failed me and i had to give up it, for my alumni, like my site's visitors, both countable. the next day i doubting why i had to apply for social circle, and i thought it should be a great deed to expand my existing sites, including a site on google sites at http://sites.google.com/site/zhudajiu , and some group in the same title, like http://www.youtube.com/group/zhudajiu , to cover more content in the future for my forever green home town, zhudajiu, a mountain village in Central China. last night i designed a logo for it and felt quite satisfying, and on bed i almost sleeplessly elaborating the idea and prepared full duty for today to accomplish. and its indeed. the whole day, including lunch time, i didn't left my pc in office, busy with customizing sites for dajiuzh, 朱大九走向世界，and re-organized family blogs on blogger.com to align with my single presence on web, esp. 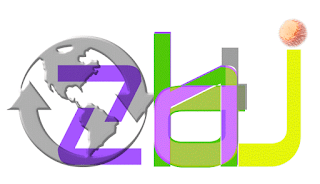 under be21zh.org, who has gain a google adsense account. dog around the office biting all day, spilt dirty water on me mentally restlessly. i also updated all my family google app engine accounts with refined theme, working and versatile redirection. when work time over, i can call it a day, left some minior task await tomorrow. ema just buzzed in to let me buy baby a Hamburg. today is a bright day, sunny and crisp. the air is very chilly. when arrived home, my fingers almost frozen. i surely have the bright heart and mood to enjoy the peace of settlement, and the joy of business boost.